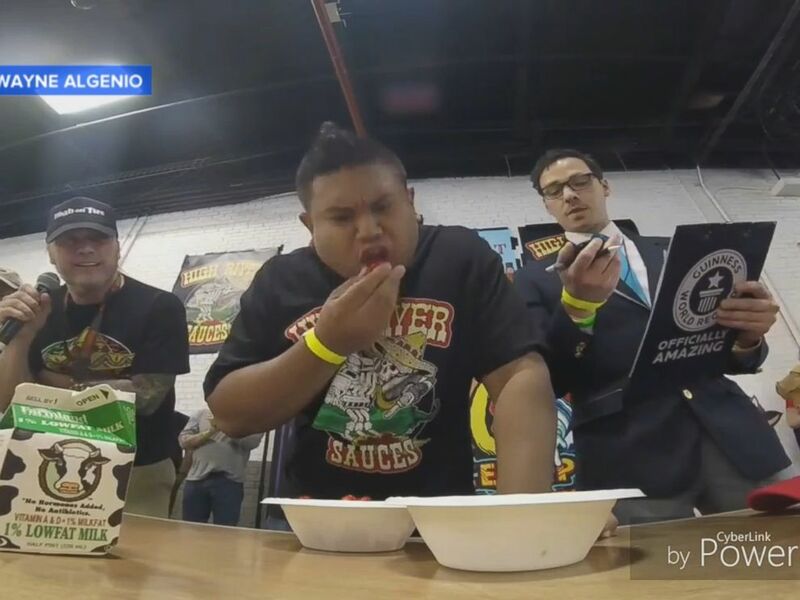 A New York man was breathing fire on Sunday after beating the Guinness world record for the most Carolina reaper chili peppers consumed in under sixty seconds. Wayne Algenio, 31, of Jamaica, Queens, broke the record after he consumed 22 of these peppers, which measure over 1.5 million on the Scoville heat unit scale -- making them the hottest peppers in the world. "I went in with the mentality that I was going to go all out, but I did not know I was going to win," Algenio told ABC News today. "It felt amazing, [but] it was in my head, 'I'm never doing this again.'" 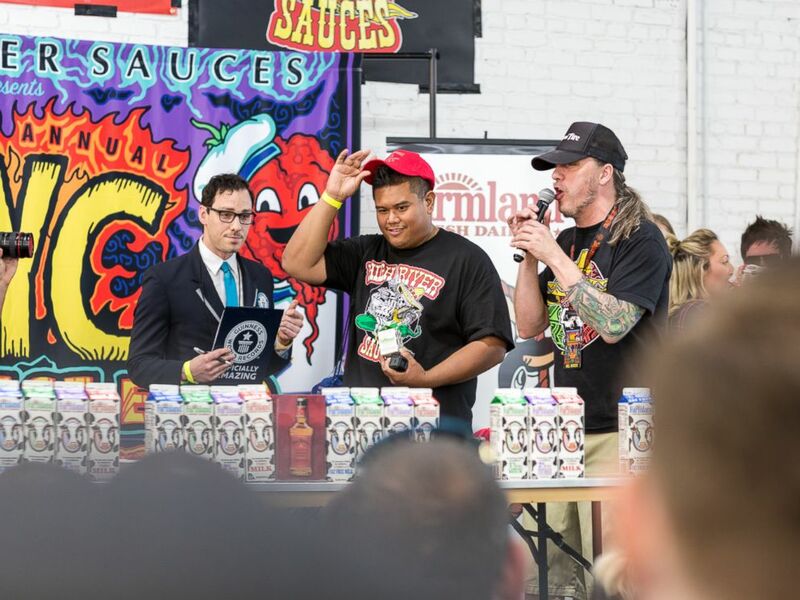 Algenio, a competitive eating veteran, won the record title after competing in the Puckerbutt Pepper Company's Smokin' Ed's Reaper Eating Challenge at the NYC Hot Sauce Expo in Brooklyn on April 24. This was the second time Algenio competed in the contest but the first time he won. VIDEO: Wayne Algenio ate 22 of the world's hottest peppers. Because the peppers vary in size, they are weighed in grams to ensure the contestants are eating the same amount. As for the rules, no contender to break the record may have liquids while eating the peppers -- not even water, Algenio said. PHOTO:Algenio ate 119 grams, or 22 of the reaper peppers at the NYC Hot Sauce Expo in Brooklyn, New York on April 24, 2016. "You eat as many as you can in a minute, and then after that minute is over, you have to stand there for another minute without vomiting or drinking any liquids," Algenio said. "After I stopped, I could feel the burn in my throat. It's an excruciating pain." Algenio said he drank milk to help soothe his burning throat once the contest was over. Guinness World Records confirmed to ABC News that Algenio has officially been named as the record holder. "I think I'm done," Algenio said, laughing. "Unless anyone breaks it. Then I'll consider doing it again."